Justice Salami scored another win over opponents of his reinstatement as Appeal Court president, when the Abuja Division of the Federal High Court struck out a suit which sought to bar President Jonathan from reinstating him. As a result of this judgement, Nigeria’s President Goodluck Jonathan and Attorney General Mohammed Bello Adoke are under renewed pressure to reinstate him. Adoke had said on May 22 that the president was going to ignore the National Judicial Council (NJC) recommendation which called for Salami’s reinstatement because there was a pending case in court. 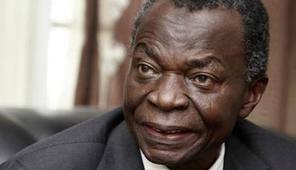 Justice Abdul Kafarati, who presided over the suit brought by Mr Noah Ajare, dismissed it as grossly lacking in merit. According to the judge, the plaintiff did not have the locus-standi to institute the action, saying he failed to establish the personal injury he would suffer if Salami is reinstated. Kafarati also said that the plaintiff rendered his suit incompetent by joining the Judicial Reform Committee that ab-initio recommended Salami’s recall, as a party to the suit, noting that it is not a legal person that could sue or be sued. The plaintiff Mr Noah Ajare had filed an originating summons before the court, seeking a declaration that all the meetings, discussions, and recommendations for the reinstatement of Salami by the President, on the recommendations of the NJC, be declared illegal, unconstitutional, null and void, as the matter is subjudice. With the case now thrown out, it remains to be seen what the next line of action from the presidency would be. The Presidency released a press statement on May 29 listing its major achievements in office this past year, one of which was that the administration has upheld the rule of law by obeying every court order bar none.